As a SERIES Seating customer, it’s important for you to understand how to care for and maintain your seating. We provide our customers with a complete Owner’s Manual with each seating system that SERIES delivers and/or installs. We will supply you with three hard copies and three digital copies (on CD) that cover this key information. 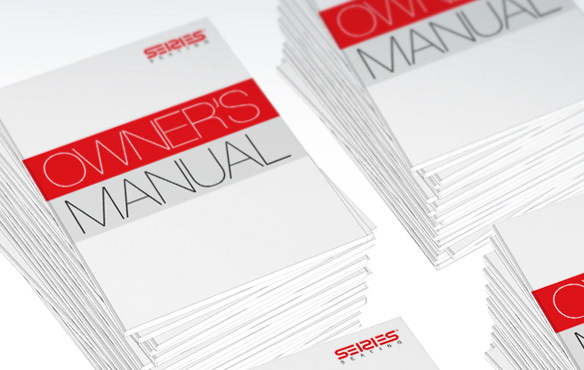 In the event you will need any additional copies of your Owner’s Manual, please let us know. We will be happy to provide extra manuals as needed.